The Lion Foundation has big plans for the future of predatory felines in the rescue facility. All rescued animals living at the rescue facility at the Hoenderdaell Estate deserve a future in the (semi) wild. In order to facilitate this, the Lion Foundation works together with partners in Africa, to create big fenced parks where the big cats can live in the future. After a transitional period at a reserve, pure bred animals will be able to live in a true natural environment. Animals that for whatever reason wouldn’t survive in the wild, will have a future in reserves. 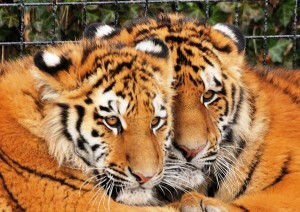 Many of the rescued animals were born in captivity or taken out of the wild as a cub. They have never enjoyed the freedom of the wild. The Lion Foundation aims to bring the cats home. Achieving this involves high costs. That’s why we ask you to support us. 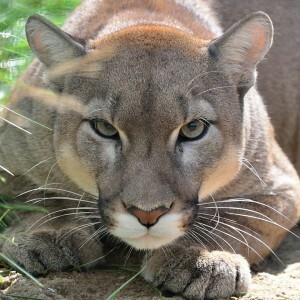 Help to provide a home for the feline predators in their natural habitat. If we don’t act now, there’s little chance that our children will be able to go to the African savannah and hear a lion roar. You can support the Lion Foundation in four ways. As a donor you can donate a monthly amount to support the foundation. You can also make a single donation. For a more personal approach, you can adopt one of our animals. Adoption costs a minimum of €10 a month. The most impressive way to support the Lion Foundation is participating in a tiger workshop. Whichever way you choose, you choose to support the animals… and give them a future!